Just how do you get consumers to forget about your past misadventures? You create the best smartphones ever, of course. 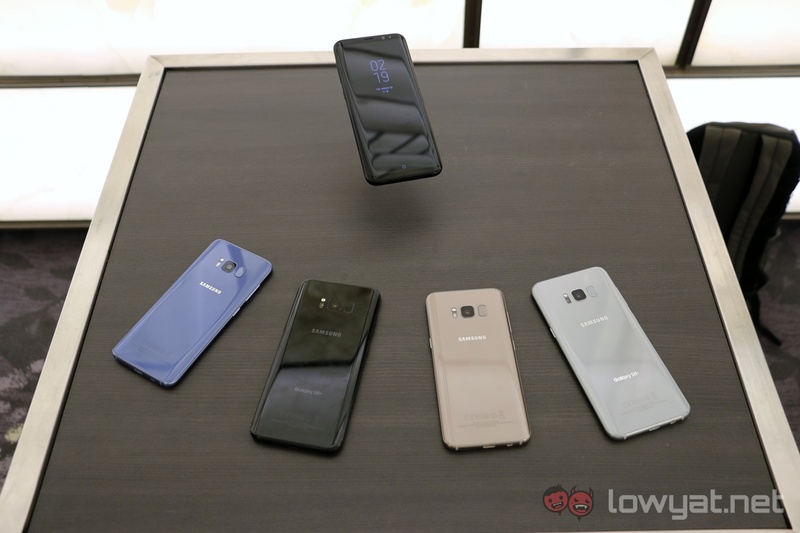 After the painful episode of the Galaxy Note 7, Samsung is aiming to bounce back hard with the new Galaxy S8 and Galaxy S8+. It’s really difficult to not like the new Galaxy S8 and S8+. They are instantly familiar, with Samsung’s signature metal and glass design language with a hint of symmetry. But they are also arresting for a totally different reason: the new Infinity Display. While it is not as jaw-dropping as the 91.3% screen-to-body ratio as the Xiaomi Mi Mix, the 83% on both the 5.8-inch Galaxy S8 and 6.2-inch Galaxy S8+ is a stunning number in its own right. It has been the subject of Samsung’s marketing since MWC 2017, and to be honest, this is the best new feature on the two phones. There are several immediate advantages with the new Infinity Display on the Galaxy S8 and S8+. 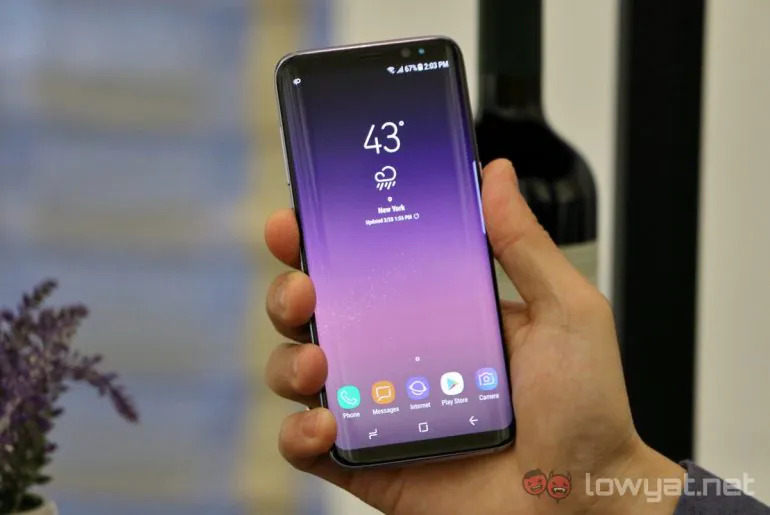 Naturally, there is more screen but on a smaller-than-expected chassis, allowing users to enjoy the benefits of a large display but with the wieldability of a small phone. 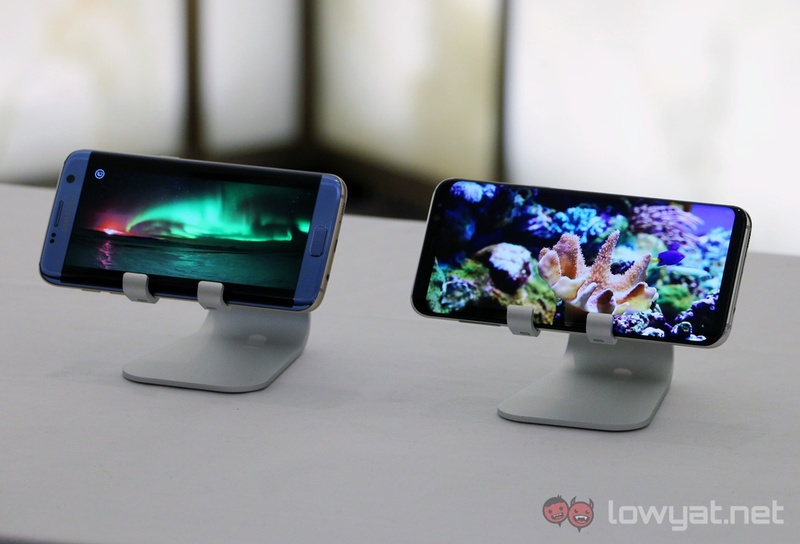 These displays are also Mobile HDR Premium certified, which clearly showed when viewing footage side-by-side with the S7 edge. On the other hand, the new 18.5:9 aspect ratio has three other benefits. First, it is narrower, allowing a larger screen but without sacrificing grip – something all phablets suffer from. Both the Galaxy S8 and S8+ are surprisingly comfortable to hold, with both sides of the glass blending into the metal frame. Next, the aspect ratio is much closer to the 21:9 cinematic aspect ratio, allowing 36% less black bands when watching movies compared to 16:9 displays. Finally, having a taller display lets users multitask more effectively. 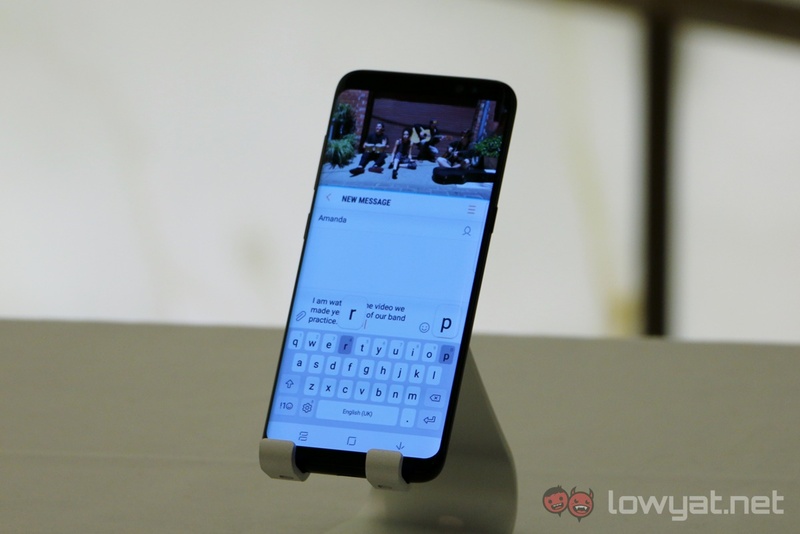 Samsung showed how it is possible to watch a video, view a text message thread and still have the on-screen keyboard up on the entire screen. Aside from the new Infinity Display, Samsung was also quick to note that the S8 and S8+ sport what Samsung calls the “foundational” features of a Galaxy flagship: water and dust resistance, expandable storage, high performance, biometrics, and Knox security. The Galaxy S8 and S8+ vary only in two areas: display size and battery capacity. 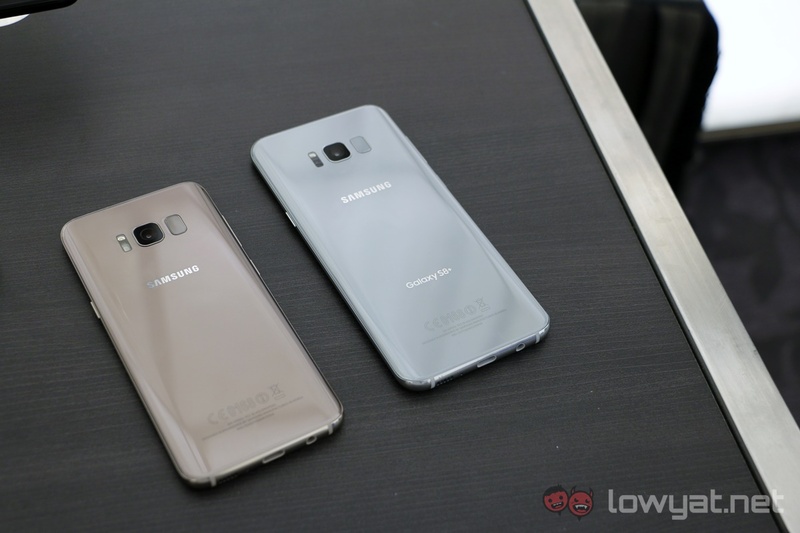 For the latter, both devices sport relatively modest batteries: the S8 packs a 3,000mAh cell while the S8+ has a 3,500mAh battery; the S7 edge from last year had a 3,600mAh battery despite being slightly larger than the S8. The reasoning here may be twofold. 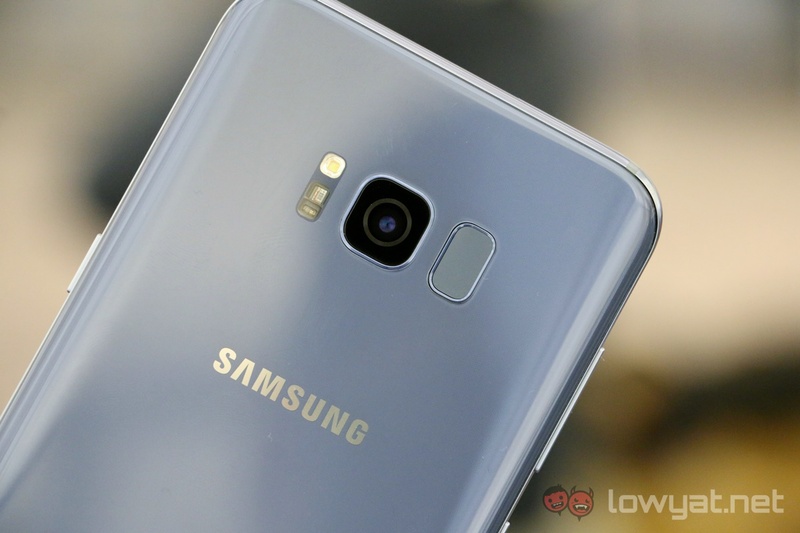 First, Samsung may have taken the practical approach by taking less risk with lower-density batteries to avoid a similar issue as the Note 7, which had a significantly larger capacity. On the other hand, the company is also placing faith in the new 10nm processors powering the Galaxy S8 and S8+. The new Exynos 8895 and Qualcomm Snapdragon 835 (Samsung uses only the 835 in the North American market) are manufactured on the 10nm process, which promises better performance and much greater efficiency. Obviously from such a brief time we cannot check on battery life, so we’ll revisit this when we are using it for our review. Interestingly, Samsung has stuck with the tried and trusted 12MP f/1.7 dual pixel camera sensor on the rear of the Galaxy S8 and S8+. The company appears to be confident enough that they are still top performance in the slew of dual-camera smartphones today – and they may be right (for now). The front camera has an upgraded 8MP f/1.7 sensor with autofocus – a rare feature for front cameras. 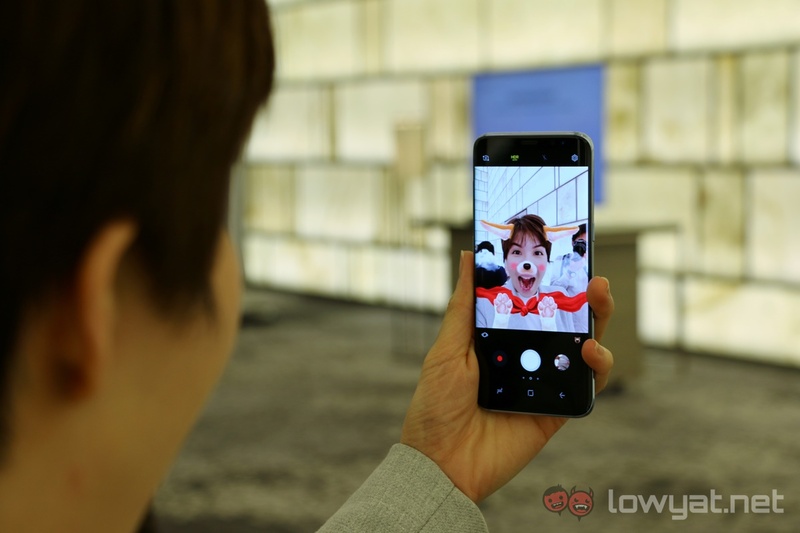 Samsung claims the front camera is fitted with autofocus and facial recognition software due to the rise in the popularity of group selfies; not hard to dispute that decision. One thing that has changed is the quick launch shortcut for the rear camera. Since there is no longer a physical home button, Samsung has changed this to a double-press of the power button. It isn’t the most elegant solution, because if the second press is too slow, you end up doing a completely different action. The camera UI remains simple, but has been cleaned up compared to the S7 series. It is gesture heavy, and unnecessary icons have been removed. Interestingly – and really, a sign of the times – there is also the option to add stickers and animated facial filters that one would usually find on Snapchat and Snow. We will be taking a closer look at the camera performance in a later article, so stay tuned for that. 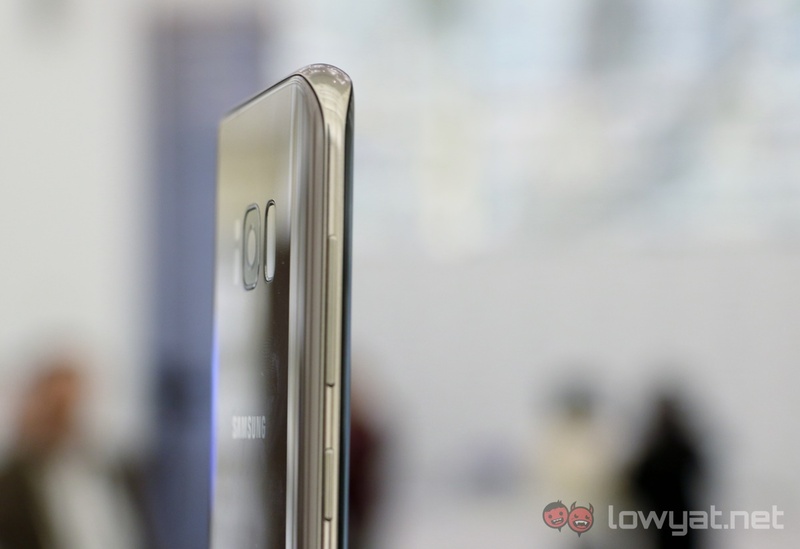 One major talking point was in the placement of the fingerprint sensor. 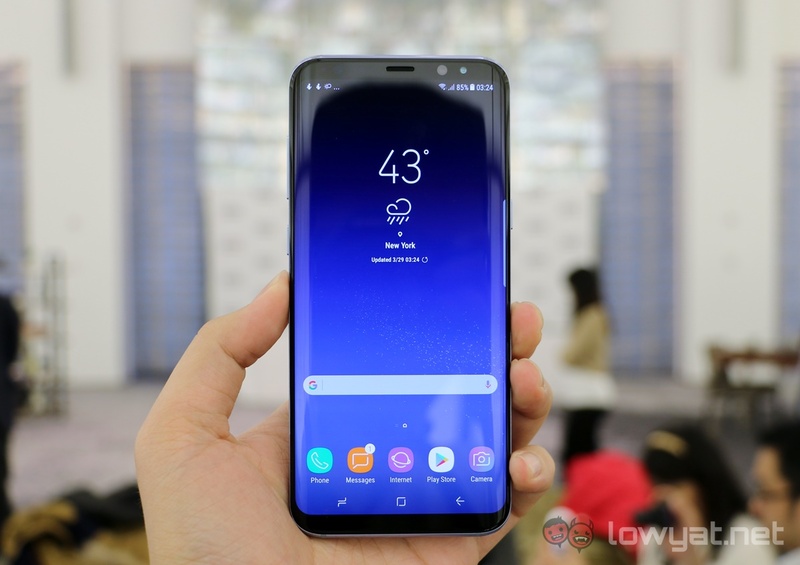 While Samsung seems to say that it was due to space and motherboard design constraints, the move may have been to encourage users to use the two other biometric unlocking modes: iris and facial recognition. The iris unlock mode is virtually unchanged from the Note 7, and is quite frankly a pain to use. The face unlock mode, on the other hand, is likely to be the one that I will be using for the S8. After a brief training process where the front camera picks up a few facial nodes, you’re all set. 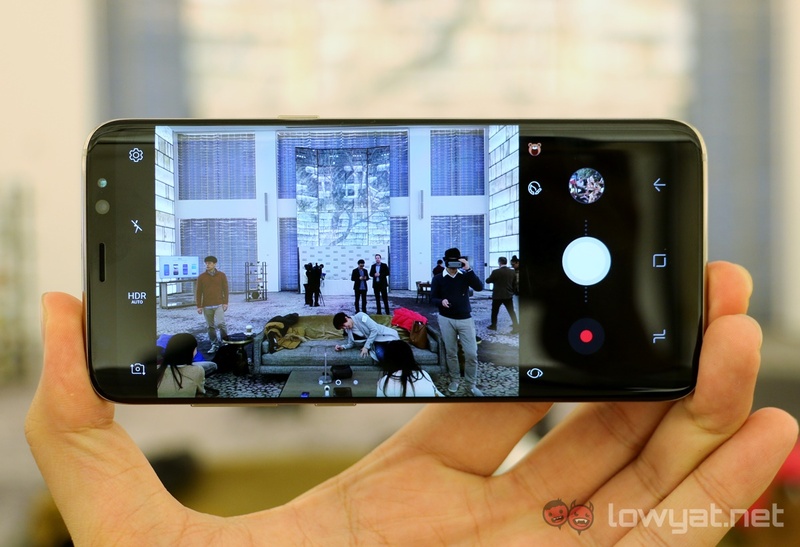 It uses the front camera to detect your face when you unlock the phone, and it actually works quite reliably in various lighting conditions – the phone even says it works better in areas with less harsh lighting. There’s also lots to play around with in the Settings. 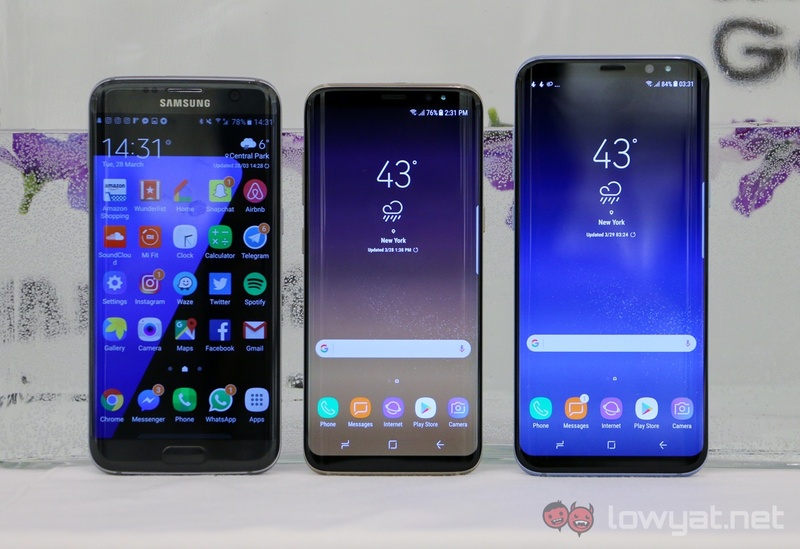 Users can customise the navigation bar button layout (Samsung’s Android phones have the opposite layout from other Android devices), the background colour of the navigation bar, and yes, the pressure sensitivity of the virtual home button. Edge screen is here as well, as is the Blue Light Filter display mode. 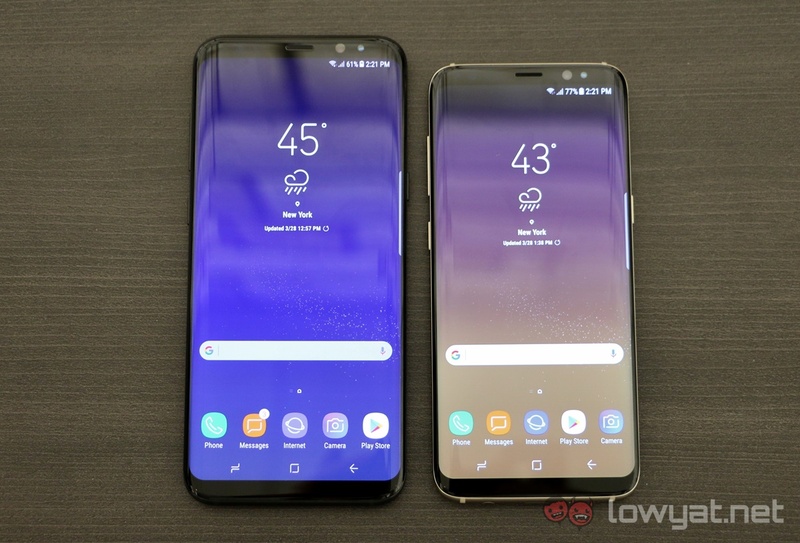 Overall, the Galaxy S8 and S8+’s software is a huge improvement on TouchWiz with Android 7.0. But of course, one does not simply talk about software on the Galaxy S8 without mentioning Bixby. Bixby is Samsung’s own digital assistant, baked into the Galaxy S8 and S8+. 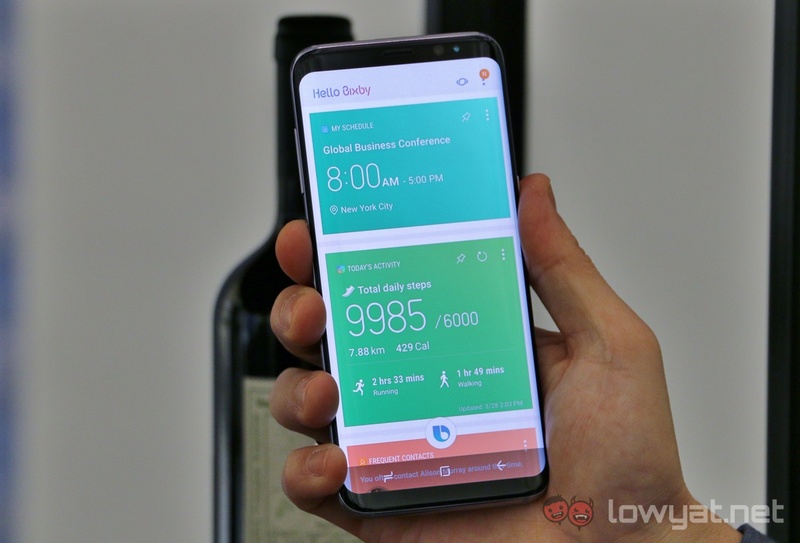 Essentially, Bixby is integrated into all of the S8’s core apps, and a handful of third-party apps, allowing users to ask Bixby to do things via voice. 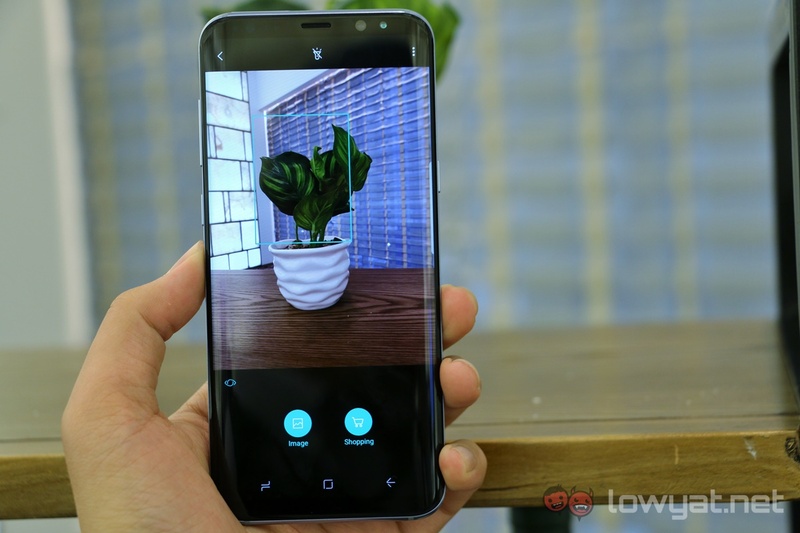 Bixby Vision is another part of Bixby, offering contextual assistance based on what you point to on the camera. Bixby sounds great in theory, but in its current state, Bixby is still very raw as a digital assistant. At the demo session, voice processing is rather slow (though this may just be due to the poor internet connection), and Bixby Vision in particular wasn’t impressive. Bixby definitely has the potential to be a useful assistant, but for now, Google Assistant is not only more mature, it is a lot more useful. As far as first impressions go, the Samsung Galaxy S8 and S8+ definitely left quite a mark. The relentless leaks definitely poured some cold water on the hype, but seeing the real thing in person still left most of us at the global launch event thoroughly impressed.